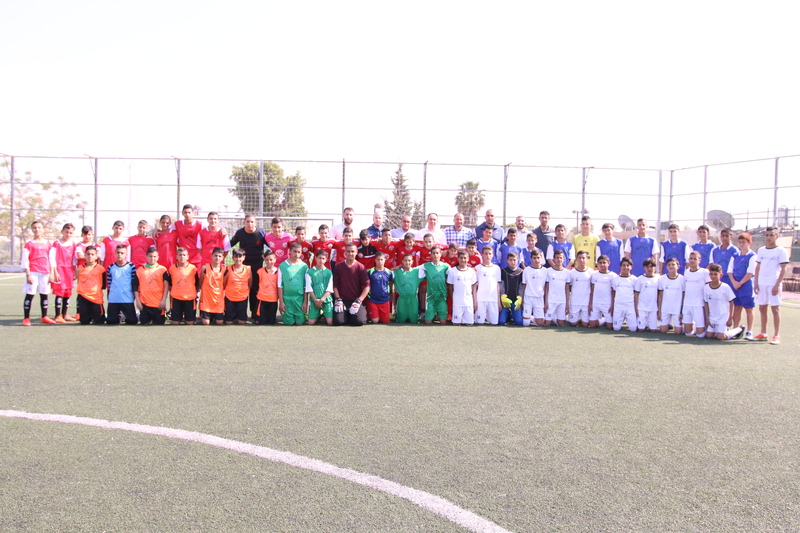 Burj Al-Luqluq Social Center Society organized for the third time the tournament ‘Jerusalemite Prioner’s Day’ for players who were born in 2003 on its pitch. Samer Nussibeh and Burj Al-Lulquq board of directors have attended the event and presented a welcoming speech for the crowd and for the participated teams. The tournament contained on six Jerusalemite teams (Mount of Olives, Beit Hanina, Islami Silwan, Palestinian Academy for talented footballers, Burj Al-Luqluq and Al-Esaweyah). Within the competitions that were characterized by fair play; Mount of Olives football club won the tournament among the teams, Burj Al-Luqluq came second and Palestinian Academy for talented footballers came thirdly. At the closing ceremony of this tournament, teams were honored with medals and cups, in addition to a speech from Mousa Hijazi which motivated the Jerusalemite youth about the importance of playing inside old city fences and walls in order to preserve the lands. It’s worth mentioning that Burj Al-Luqluq will honor the winners formally at the international committee of the Red Cross confirming our support and assistance to our prisoners.